If you asked me what my favorite meal of the day is, I’d most likely respond with breakfast. Savory or sweet, there are an abundance of options one can choose from for breakfast. I’m always on the lookout for new healthy breakfast ideas, recipes I can try out or gain inspiration from. 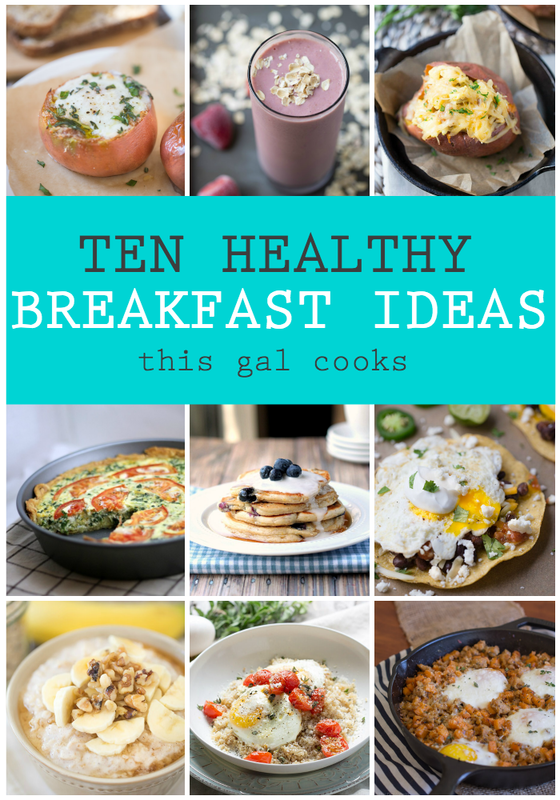 I’ve put a little collection of healthy breakfast ideas together for you. All of these recipes are easy to make. All are tried and true. You can follow the recipes exactly as noted or make changes to suit your taste preferences. If you have questions about any of these recipes, please feel free to leave a question in the comment section below or send a private email to me. 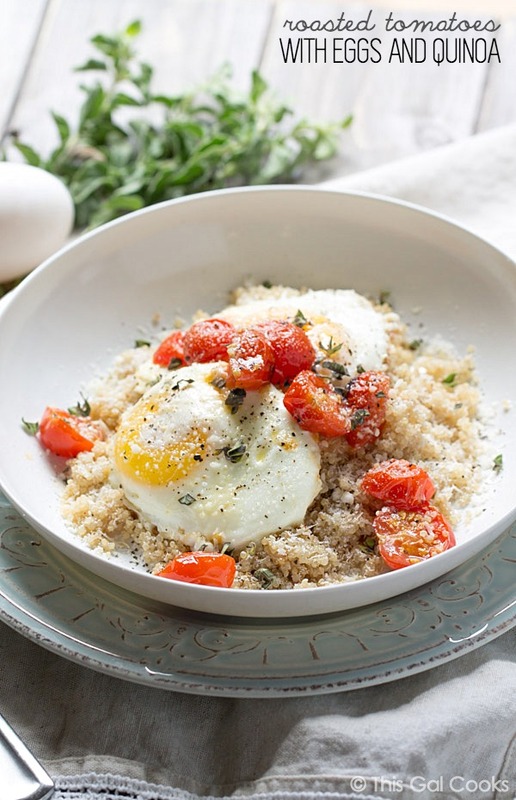 Roasted Tomatoes with Eggs and Quinoa. This is probably the breakfast recipe that gets made the most at my house. I often make it before work, pack it in my lunch box and take it to the office with me. I’ve made this with subbing with hot sauce, fresh shredded cheddar cheese and cilantro as well and it’s equally delicious as the original recipe. 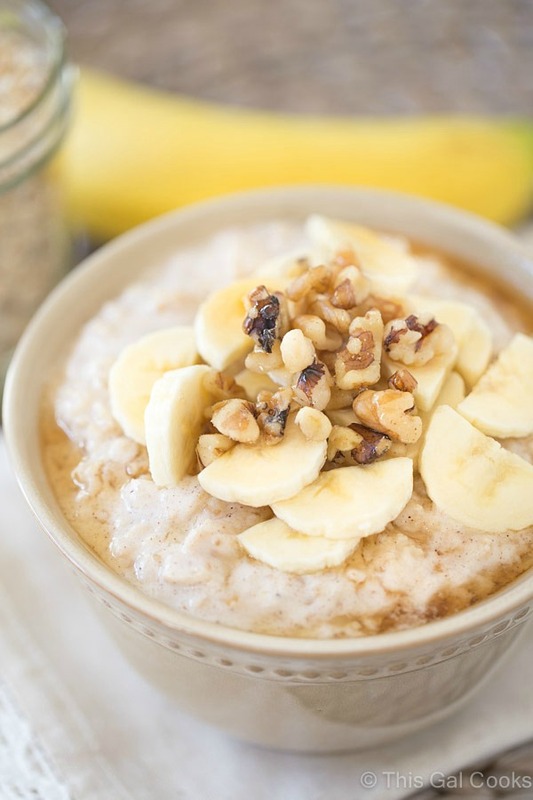 Banana Oatmeal with Maple and Walnuts. If you’re looking for unique flavor in your oatmeal recipe, this is the recipe to try. I used Greek yogurt in this oatmeal. The Greek yogurt gives the oatmeal a hint of tanginess while lending creaminess to the base without the calories and fat that comes with cream. 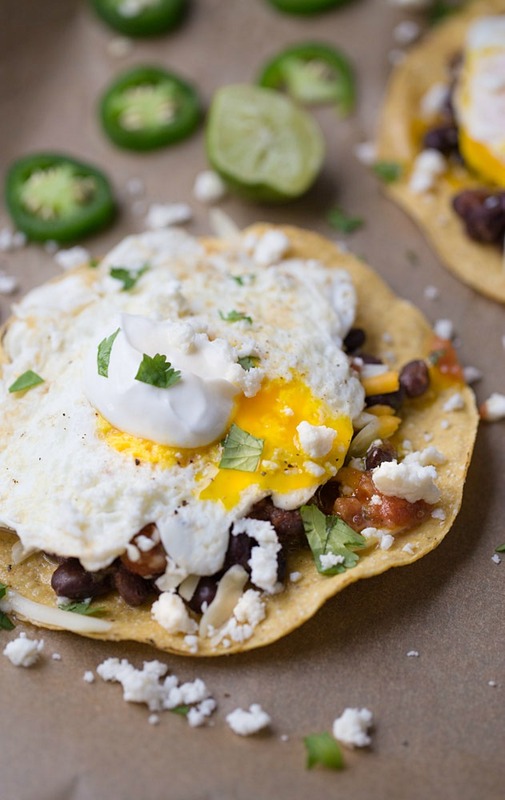 Breakfast Tostadas with Eggs and Black Beans. I may be the biggest fan of Mexican food on the planet. Tacos, enchiladas and tostadas are things I could eat every day for the rest of my life. These simple vegetarian breakfast tostadas marry my love of Mexican food and breakfast. They take less than 10 minutes from prep to plate, too. 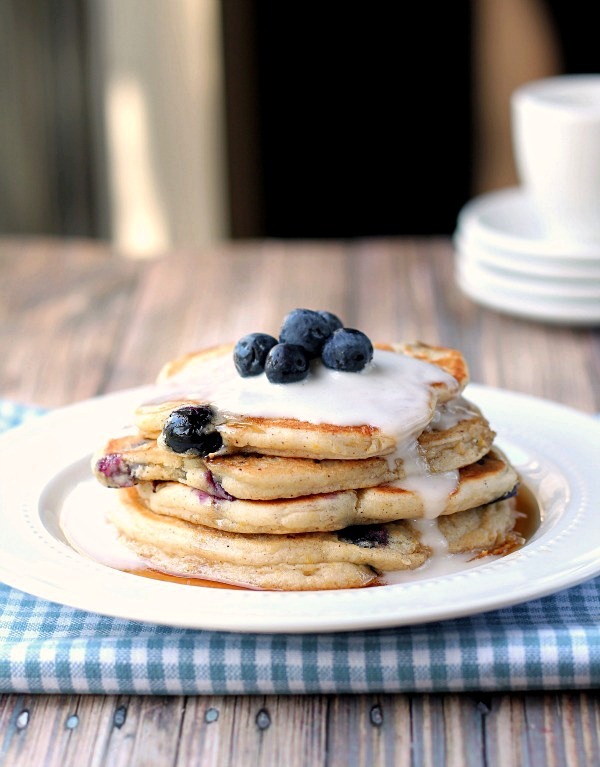 Blueberry Coconut Pancakes. Typically, pancakes aren’t considered healthy. And these aren’t 100% healthy. They aren’t made with whole wheat flour but they are made with coconut milk so if you’re lactose intolerant like me, these are a great option and will keep your digestive tract happy. Breakfast Sweet Potatoes with Eggs and Chicken Sausage. 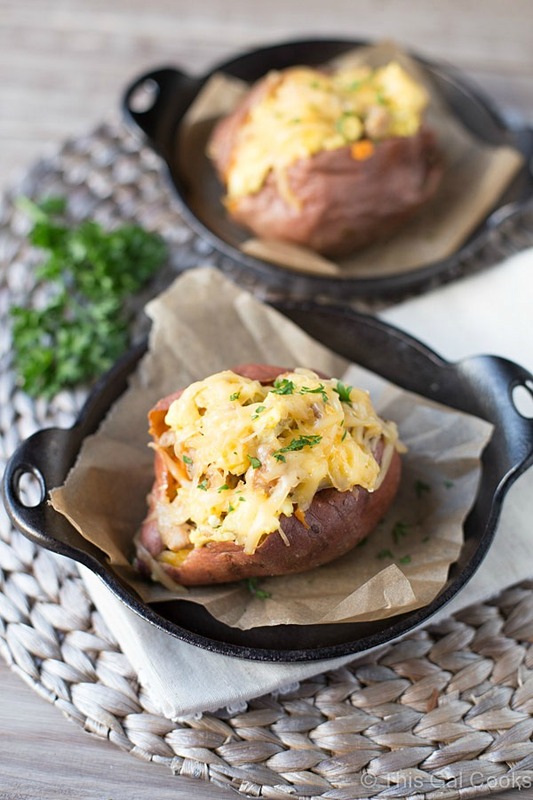 Sweet potatoes are all the rage right now and there’s a great reason for that. They taste great and they’re the potato that’s good for you. I took the baked potato, made it healthy and breakfast friendly by stuffing it with eggs, chicken sausage and smoked gouda cheese. 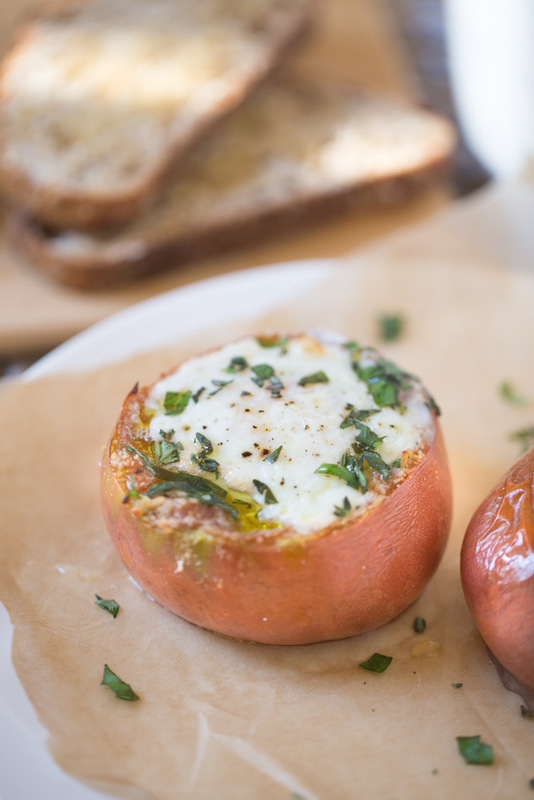 Heirloom Tomatoes with Baked Eggs. I may love eggs with tomatoes. It’s become evident while putting this post together. I got the idea for this low carb, flavorful recipe from the Williams Sonoma Good For You cookbook. You can usually find heirloom tomatoes at your local farmers market, Whole Foods or Fresh Market. If you can’t find heirlooms, vine tomatoes will work too. Strawberry Banana Oatmeal Protein Smoothie. 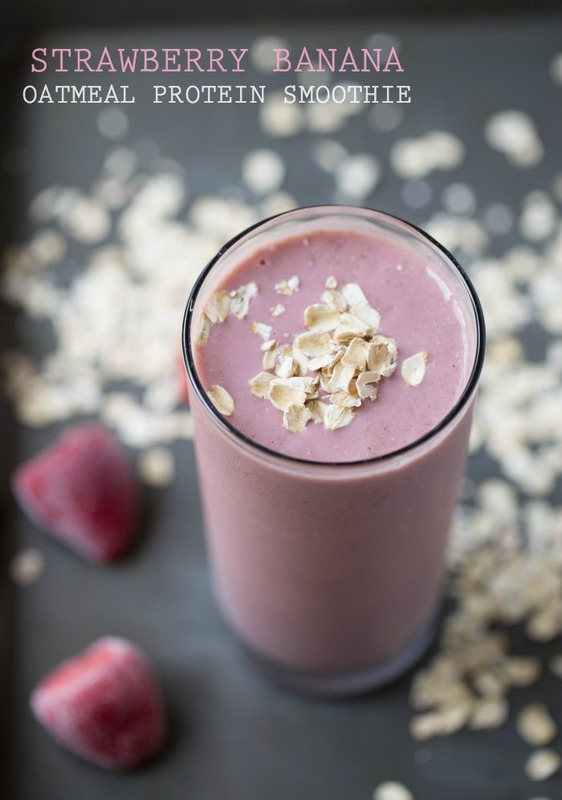 This thick and rich smoothie has it all – fruit, oats, plant based protein powder and almond milk. It’s great for those who are lactose intolerant and it’s vegan friendly, too. 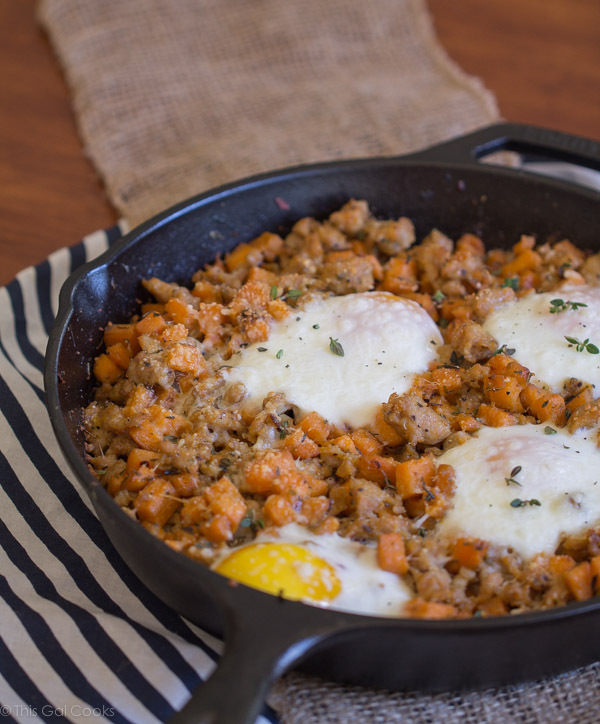 Sausage and Sweet Potato Hash with Baked Eggs. This entire healthy breakfast recipe is made in one oven-safe skillet, which means fewer cooking utensils and dishes end up in the sink. Chicken sausage and sweet potato is a great combination, I think you’ll agree once you try this recipe. 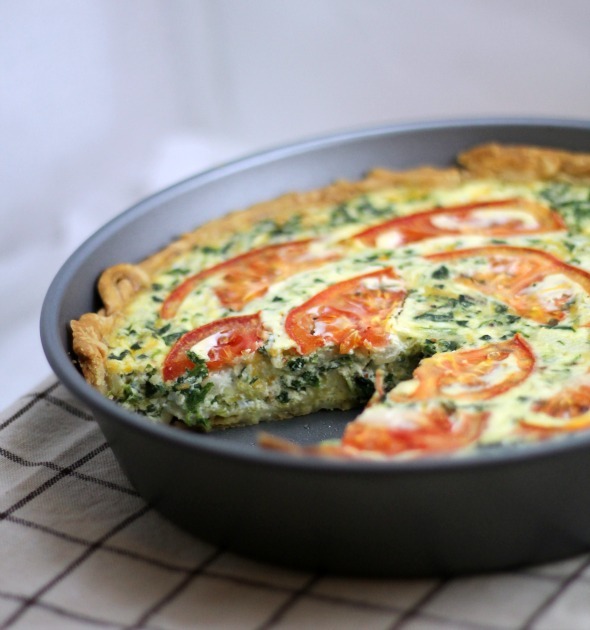 Tomato Bacon Spinach Quiche. This recipe is a readers’ fav and a favorite in my house, too. Tomato, bacon and spinach is a classic combination that many people cannot resist. This quiche is versatile and can be enjoyed for any meal; it’s definitely not exclusive to breakfast. 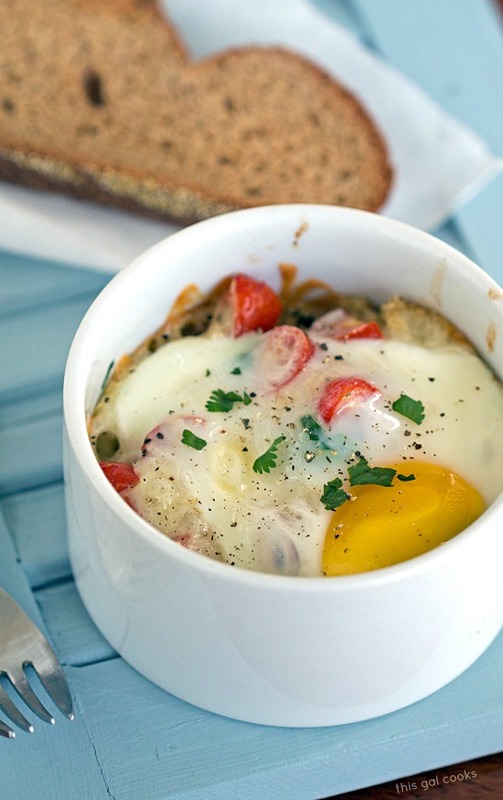 Baked Eggs with Quinoa and Fresh Salsa. Fresh salsa is the best salsa you can ever eat. Not only does it taste great, you can play around with recipes to change the flavors to compliment your taste preferences. The fresh salsa and fresh shredded cheese in this recipe lends great flavor to the quinoa and baked eggs. You may fall in love with this recipe as much as I have. These all look so yummy! I am a huge fan of breakfast and mexican food so the breakfast tostada looks amazing! I am definitely going to have to give it a try! Hope you enjoy them as much as I did, Morgan! Wonderful round up of recipes. I can’t believe the Breakfast tostada is healthy! Looks amazing! Thank you, Kelley! Yeah, the tostada shells I used are low cal – IIRC, it’s right around 200 calories for 3 tostadas. And one topped tostada is more than enough for one person! My breakfast routine has been in a funk lately and this was just what I needed to spice it up! I love the mix of sweet and savory choices you provided! Thanks Danae! So happy you enjoyed this roundup! I am so with you on breakfast. It’s my favorite meal of the day for the exact same reason as you! This round up is AWESOME! Imma have to go and eat my way through this list!